Hello, Gorgeous! : light & breezy! Hey there! How's your week going? Do you have big plans for the 4th? We actually attempted to go boating last weekend. But, it was way too cold to go on the water. Fingers crossed, it will warm up and we'll be able to get some time outdoors soon! You're so gorgeous and dress so perfectly. Do you know where we can get that pearl necklace now? I can't find one like it and I love it! I just got it on eBay! Check there I think they have more. It's forever 21 ,I wish I could remember the saler's name. Good luck! So cute! I love your denim/white outfit. I can't wait for our holiday weekend to start. We're headed to the beach tonight! That dress in the first picture is so light and pretty! 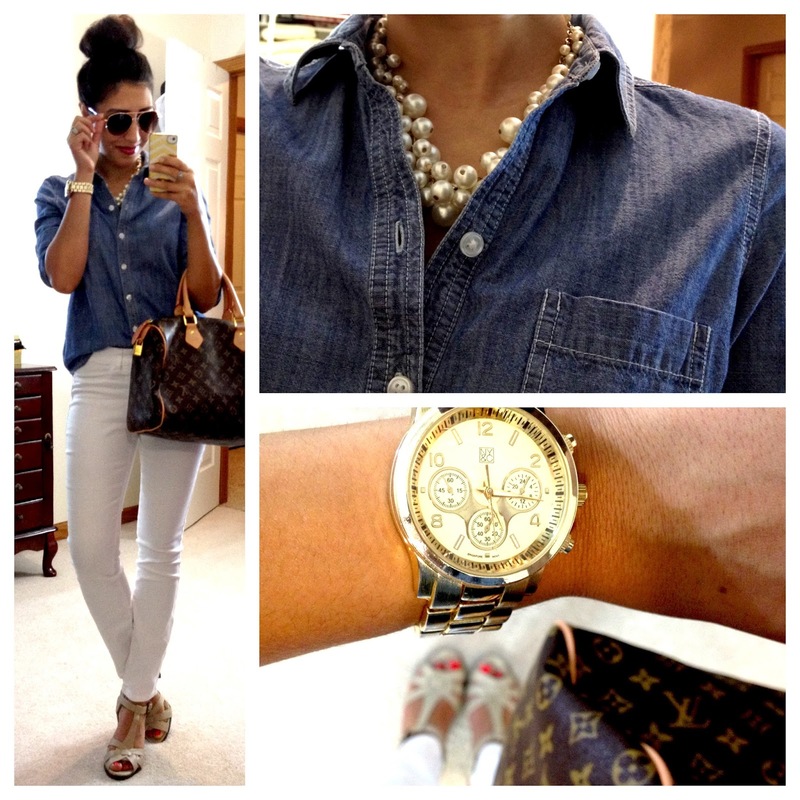 And the chambray and white skinnies is such a classic look. Enjoy your holiday! loving all your summer outfits and now i really want a pair of white jeans badly!! 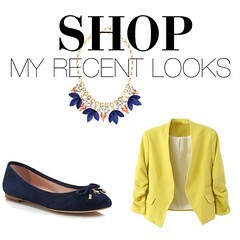 Your style is chic and easy to emulate. Love it! It inspires me to do more with some of the pieces I already own. 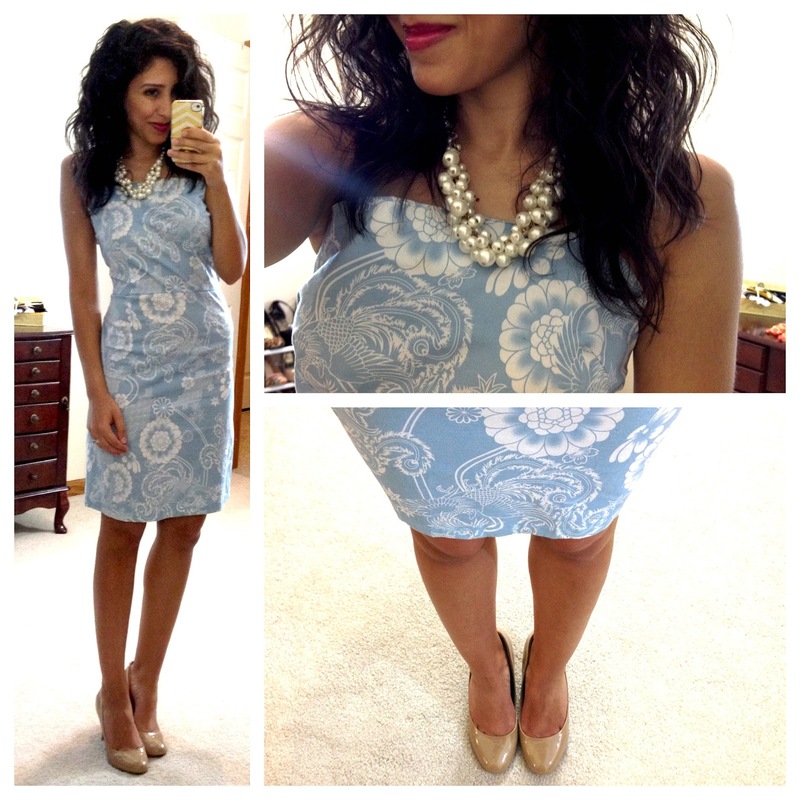 Great looks - all so classy! Glad I found your blog - great inspiration! Where did you get your denim shirt from? I didn't see it listed.